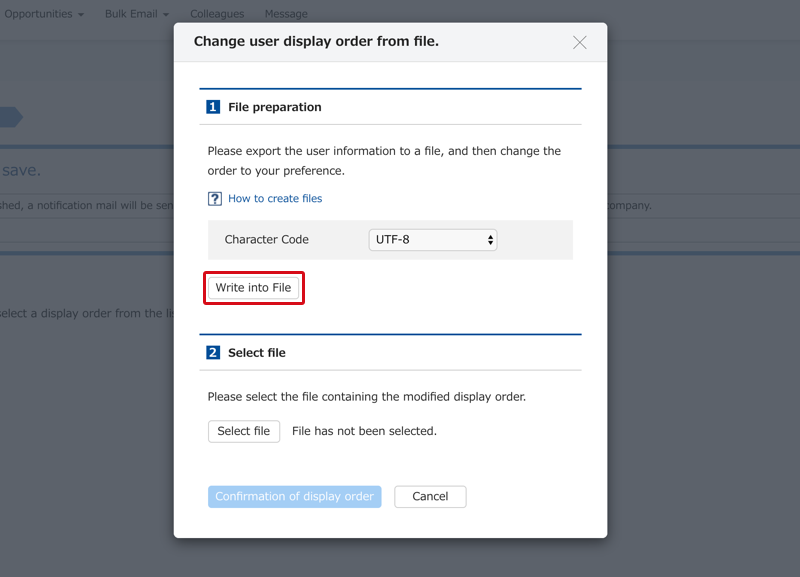 By using file import, you can change the display order of users all at once. Here we will show how to use data outside that registered in Sansan to change user display order all at once. 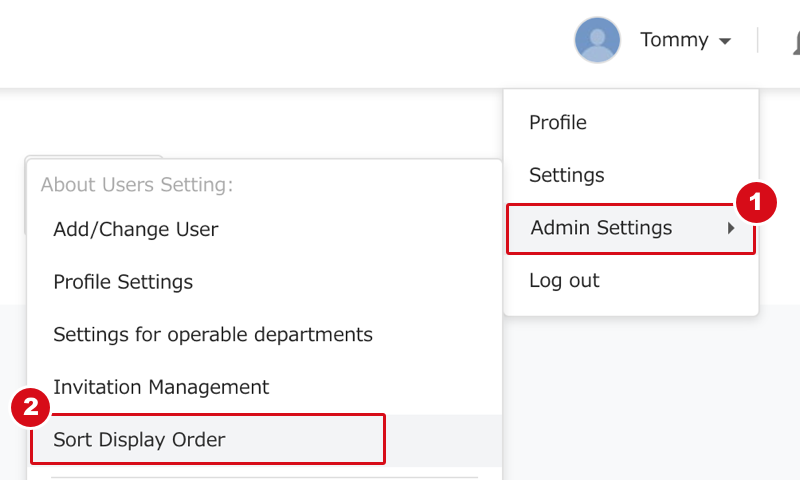 If you have information that you would like to use as the user display order in your company's internal system, this way of changing will be more useful for you. 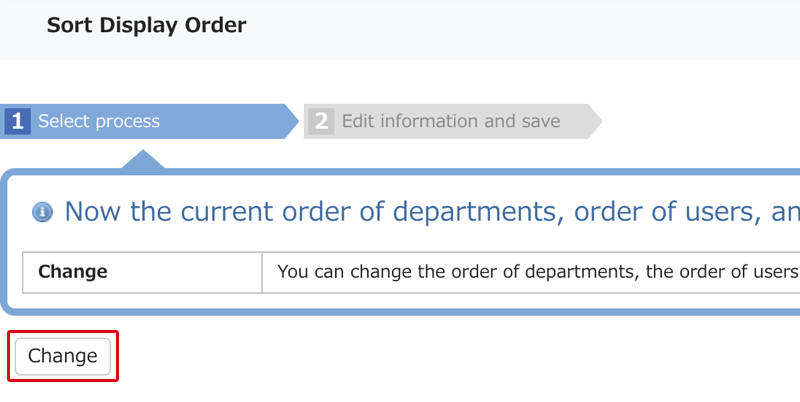 When importing from a file, the display order of users who belong to multiple departments cannot be specified for each department. 1. Obtain user information from Sansan. From "Sort Display Order" of User, download the user information you have registered in Sansan. Obtain user information from your company's internal system. The information that you obtain here must contain the User IDs used in Sansan or email address and the information to be used as the display order. 3. Combine the files you obtained. With the VLOOKUP function of Excel or something similar, use the User IDs or email addresses as keys and then combine the two files. 4. Change the user order inside the file. Using the order change functions of Excel, change the order of the records in the file to the information order obtained from your company's internal system. 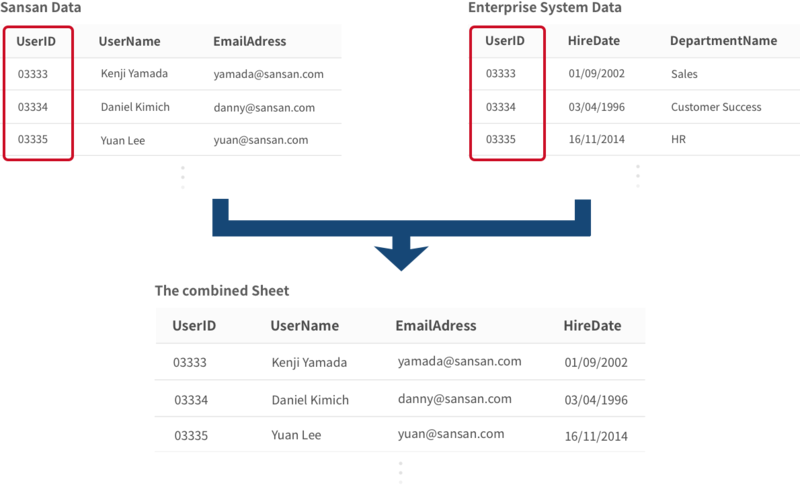 Reformat the file to the format appropriate for importing into Sansan. So that it becomes the same format as what you obtained from Sansan in step one, please delete any lines that were added when the files were combined. *You cannot have multiple instances of the same user in the same file. 6. Specify the file you created as a file for changing order. From "Sort Display Order" of User, select "Import from file", and specify the file you created. 7. 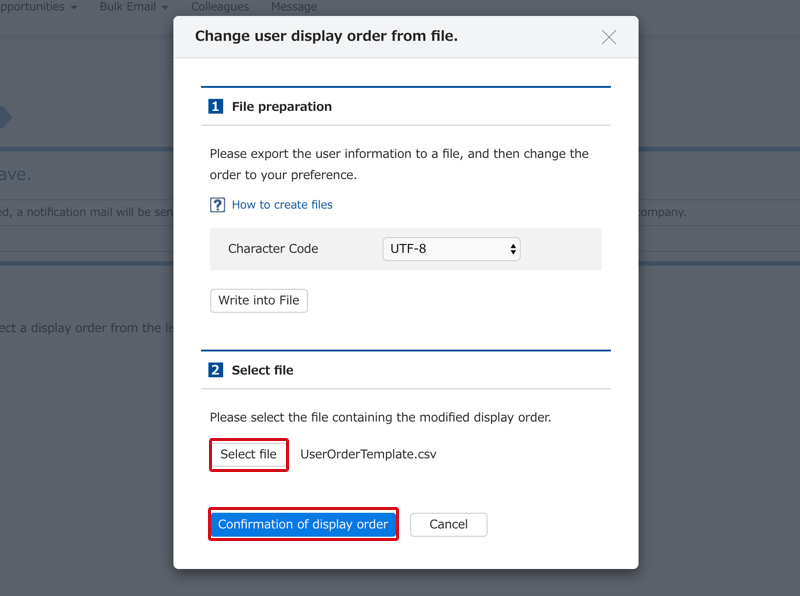 Update the display order for users. 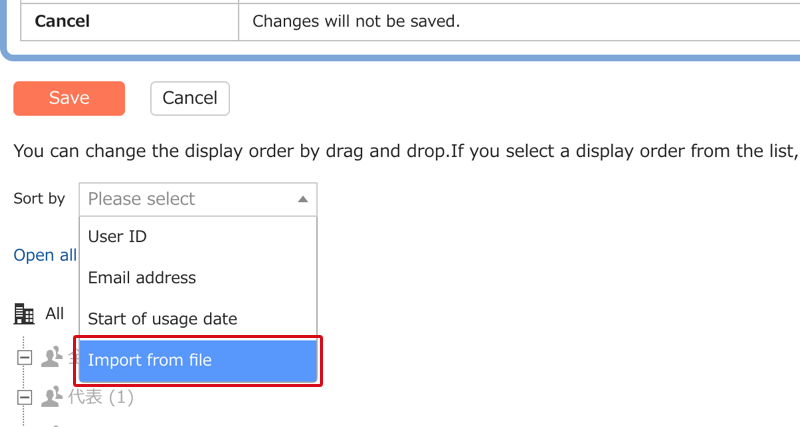 Check that there are no problems in the results of the change of display order, and then save the changes.